People | MICHAEL DONALDSON Improving the performance of your business by improving the performance of your people, the profitability of your products and the productivity of your process. 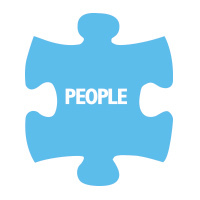 Michael’s people skills whether working with individuals or teams enable him to create within them, a desire to improve their own performance and ultimately that of your business. Motivated to achieve more, by becoming more efficient and more effective thus more productive – as well as feeling better about themselves and the business they work for. His high emotional intelligence combined with decades of practical people management have enabled him to develop, coach and lead successful teams for his employers across a variety of industries and sectors. As the Value Innovator, Michael has developed an approach to bespoke coaching that has delivered immediate results often for both the individual and the business from the very first sessions. The traditional menu based approach to coaching – select from the following off the shelf programmes: planning, time management, meetings, delegation, leadership, appraisals; are very valid but not as valuable or as impactful as his bespoke Challenge Coaching. Challenge Coaching addresses the immediate issues and challenges facing the individual in their business at the outset of each session, in a structured, relevant and deliverable process that leaves them better equipped and more confident about facing future challenges – as well as more focused on the remaining session. A leading wallpaper business was suffering from frequent staff churn in its Product Management Team and was facing the loss of its two most senior people to a major competitor. As a result, it was always having to go outside for senior replacements, which was bad for moral, restricted personal development, was proving extremely expensive in recruitment fees, as well as disruptive to customer relationships and ultimately damaging to the business. Michael set about reviewing personnel procedures and packages to secure the two managers, if only for the short term, as well as protecting the business from future staff poaching. The review was designed to enable the company to promote from within, develop promotional candidates, build staff loyalty and target recruitment at more junior level. The output of the Michael’s review reorganised the team into three focused cells, comprising a Senior Product Manager, a Product Manager and an Assistant, with each individual being briefed and measured on overseeing work and involving others on related work, as well as paying part of their bonus on the overall performance of the cell. As a result, the immediate threat to the business was neutralized, personal development plans were introduced to retain the most able, and recruitment costs dramatically reduced, as was business loss from key staff churn. A multi-site business was suffering from fluctuating standards of procedure and performance, especially noticeable to customers who shopped at more than one site and damaging to the company’s service claims. It was necessary to train staff to adopt a common approach across all sites to standardise processes and performance – without creating robots. In this instance, Michael personally briefed and engaged the staff at each site, providing examples of how things could be improved. Each site subsequently elected colleagues to compile “What we do” lists to be used as a basis for defining tasks, procedures and performance standards. These task lists were then distributed across each site, trialled with staff, refined and finally launched with new procedures added when required and improvements made whenever a need was identified by their users. As a result, staff adoption was extremely high and the business began to apply the same high standards of performance to all procedures, enhancing brand delivery and customer satisfaction as well as providing a training manual for new recruits.